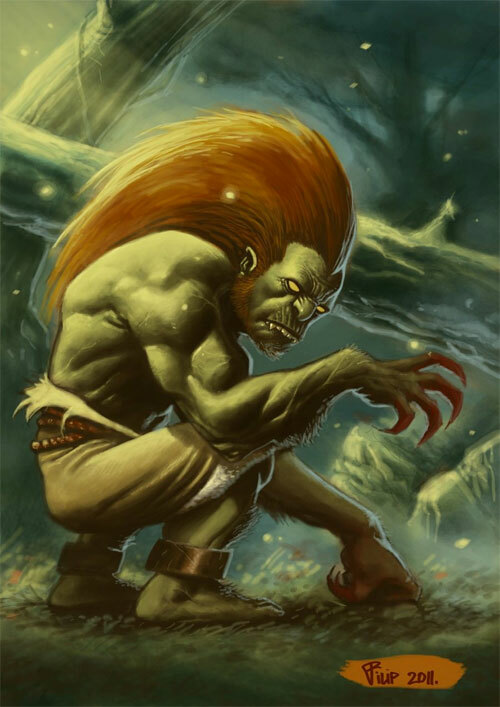 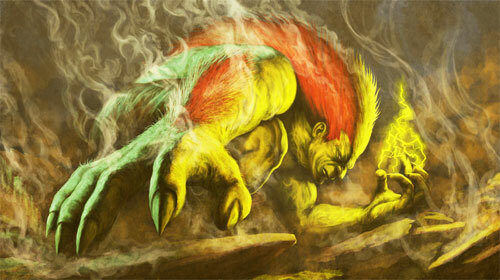 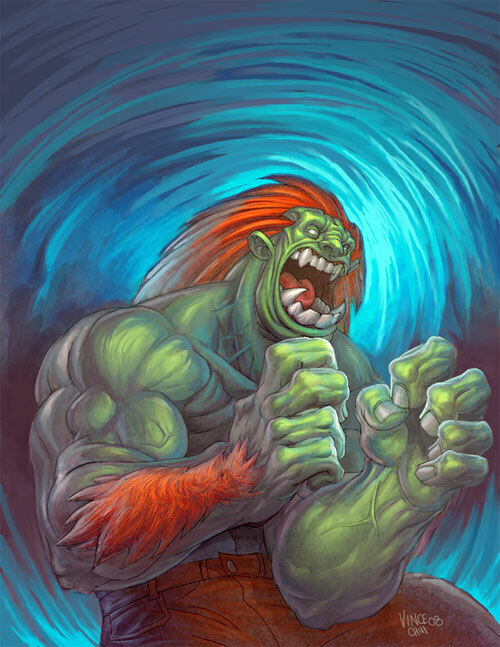 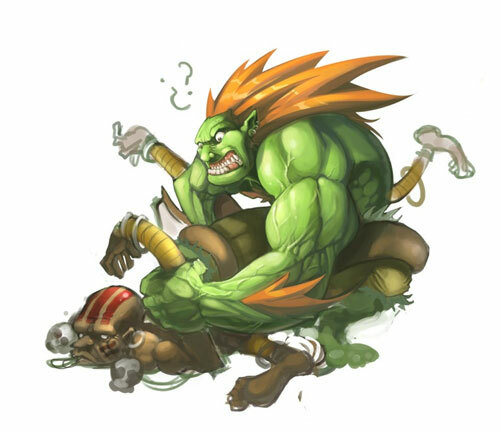 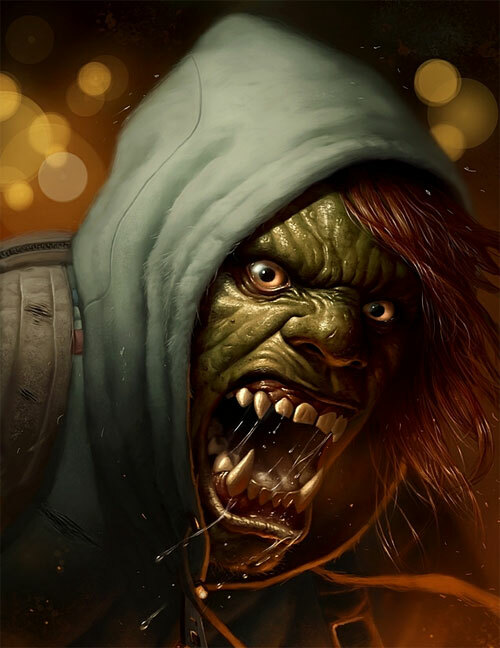 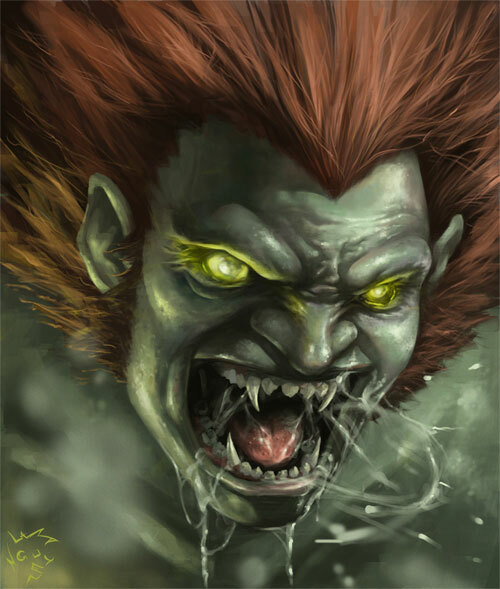 Blanka, also known as Jimmy Blanka from the Street Fighter series, is a fictional character depicting the image of a feral savage, with green skin and long orange hair, resembling a monster more than a human. 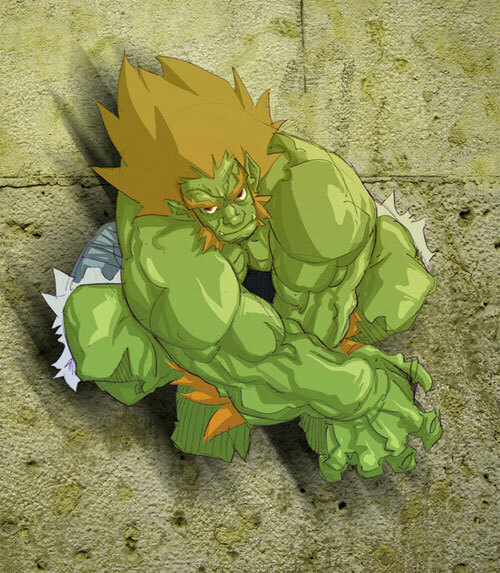 He is one of the original eight characters featured in the first version of the Street Fighter II games. 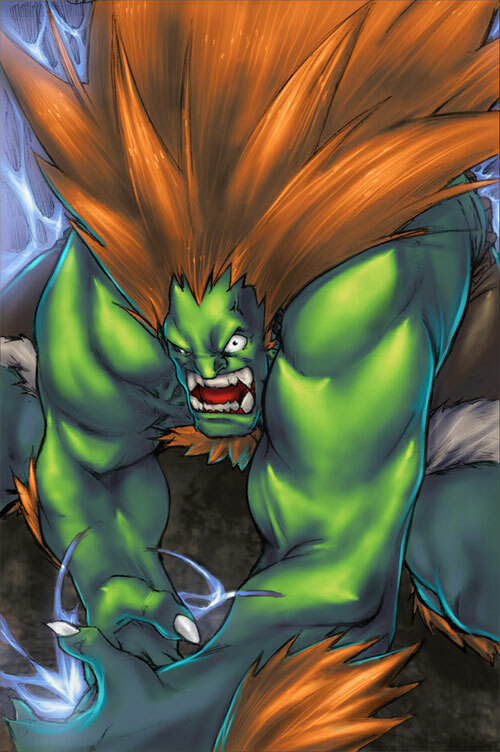 Raised in the wild, Blanka was separated from his mother when he was just a little boy because of a plane crash. 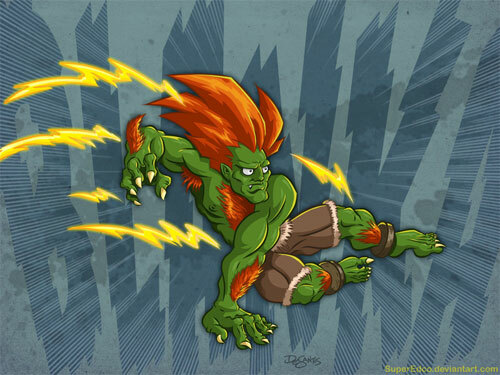 Based on the story, Blanka was born in Taiwan. 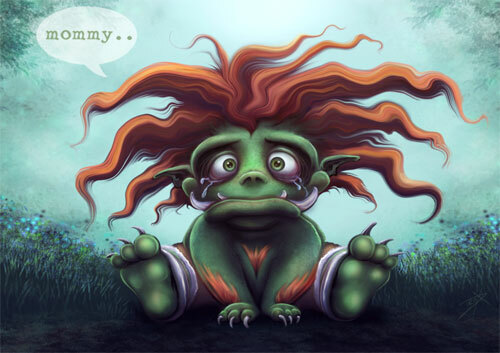 The plane he was riding in crashed into Amazon Rainforest. 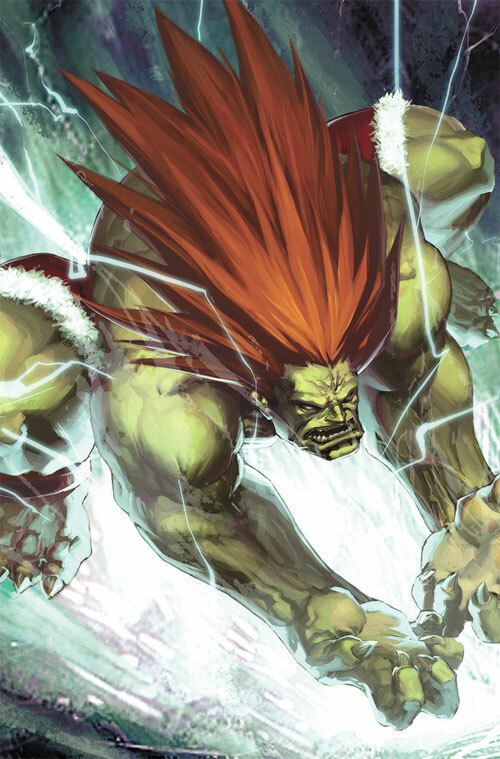 He was captured by M. Bison who had taken him to Shadaloo base in Amazon, conducting various genetics and chemical experiments, giving him actual appearance and electric power. 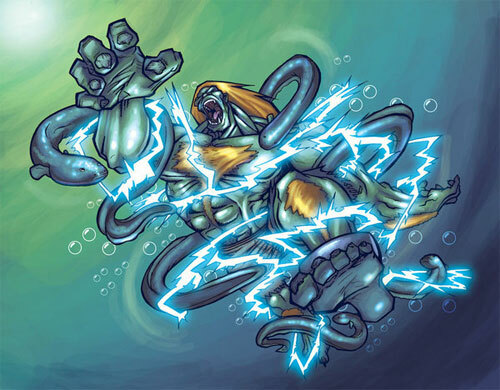 His eventual escape from the base allowed him to make contact with humans in amazon basin villages, and learned some capoeira concepts combined his electrical power, turning him into one of the most powerful fighters of the world and been challenged by comers from various parts of the world, such as Ryu and Chun-Li when them traveling to amazon villages. 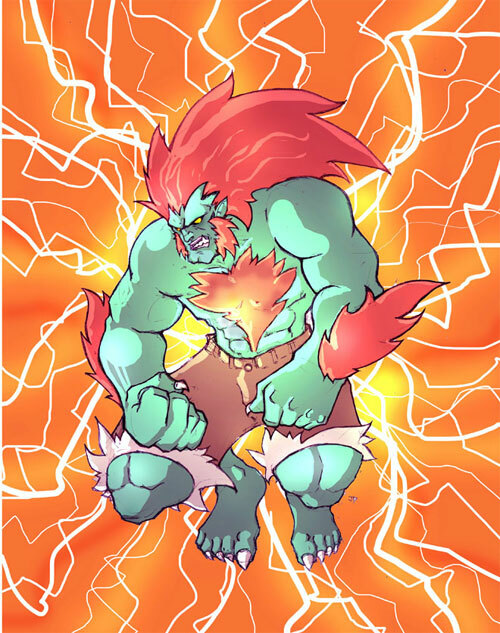 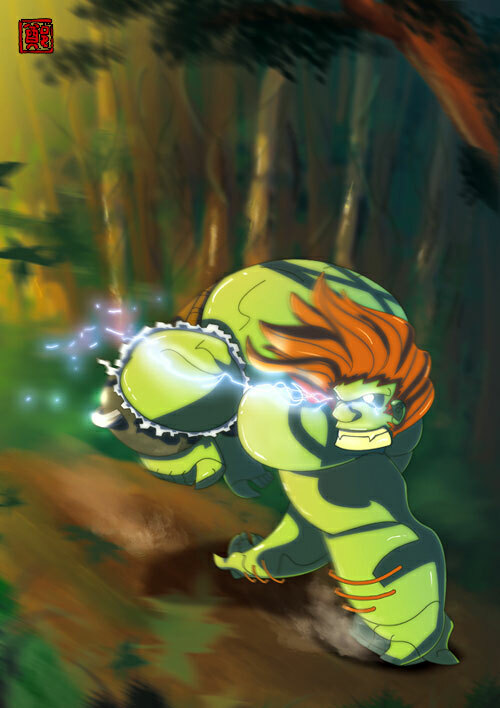 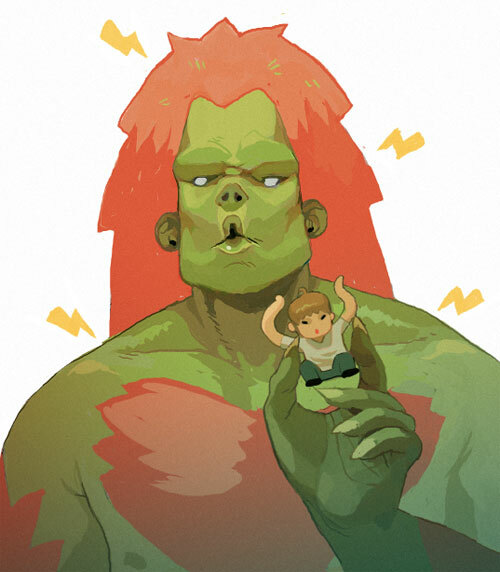 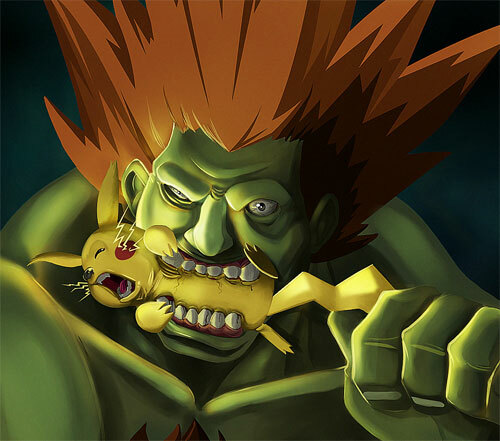 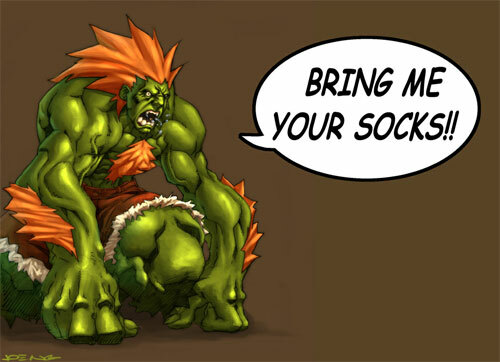 Come and check out this 25 Blanka Artworks and let the unique illustrations inspire an motivate you. 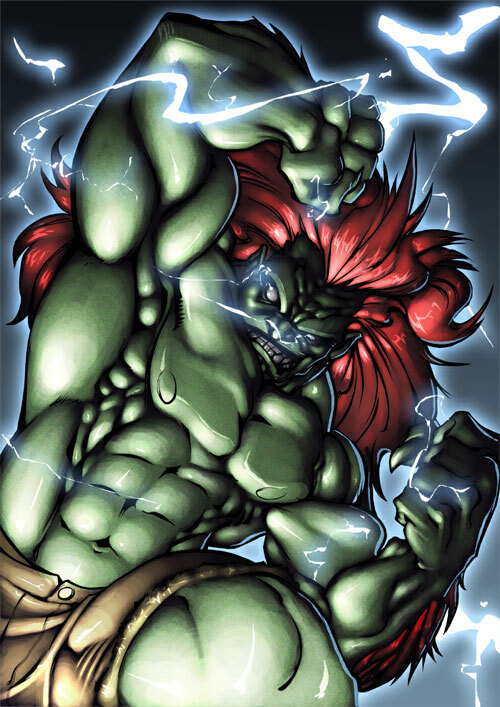 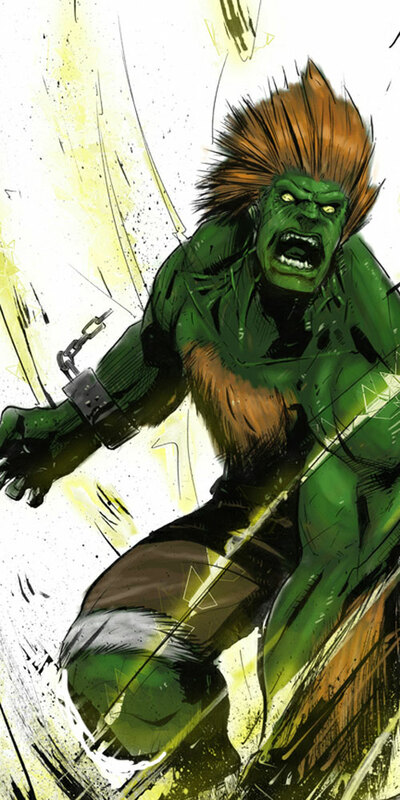 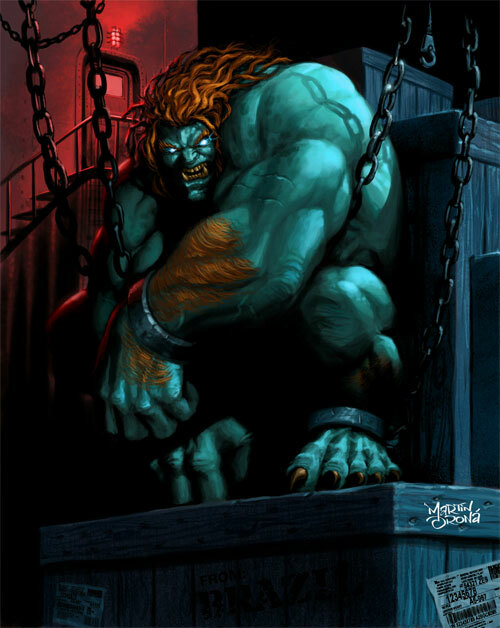 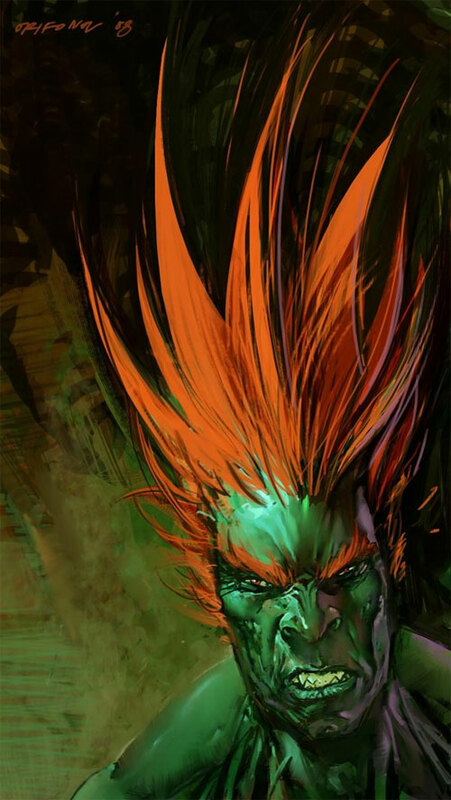 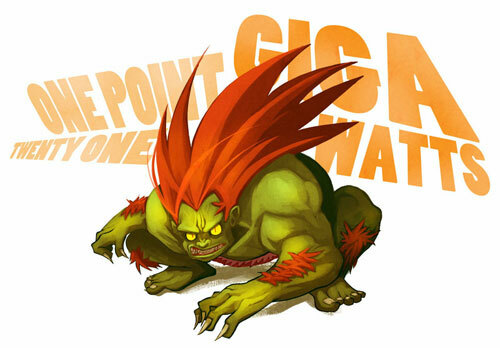 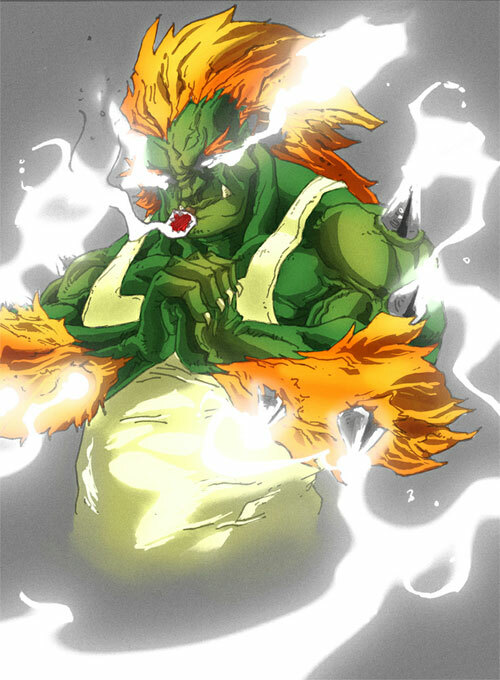 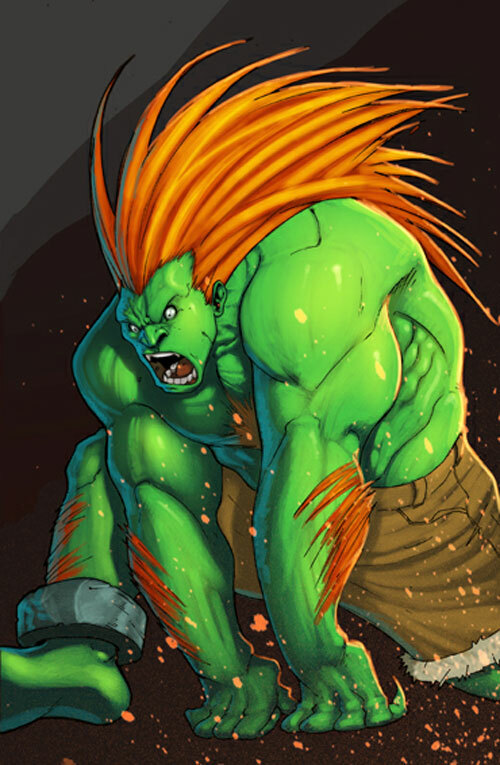 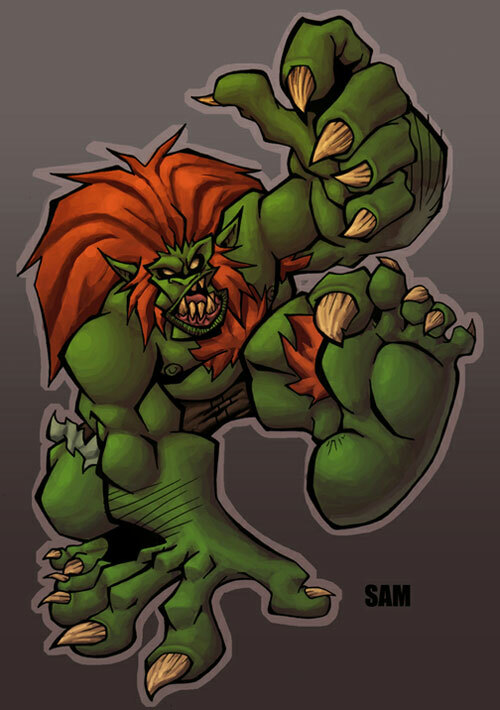 Various media appearances of Blanka has been created due to its popularity, including the Street Fighter II animated movie and UDON’s Street Fighter comic adaptation among others.